The bumpy dirt lane to Hotel Tugu Lombok winds past emerald fields with cows and stands of palm trees. Doubt bubbles up… Does this unassuming entrance really lead to a luxury Lombok hotel with private pools? Possibly the best hotel in Lombok? 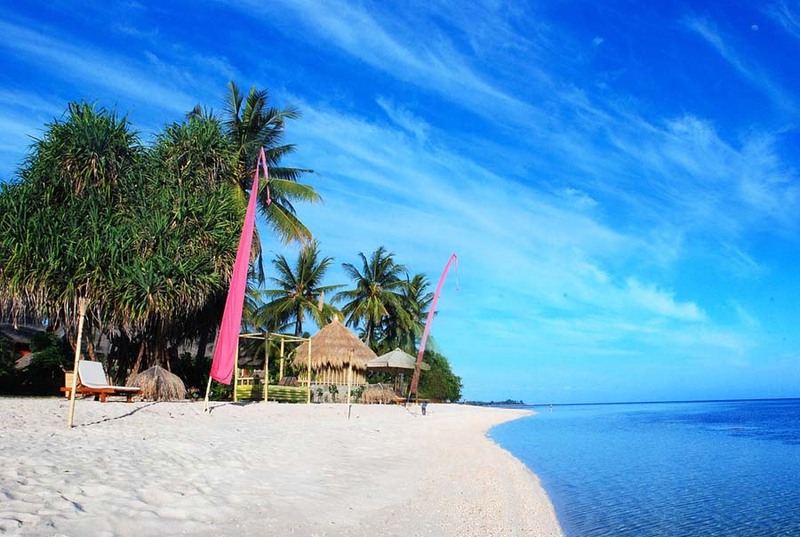 Sire Beach Lombok – It’s on one of the best beaches in Lombok! Booking details – freebies, rates, map, etc. We eventually reach a striking colonial house surrounded by lily ponds. It’s the resort’s reception. We’re told that this priceless hardwood house, once rented to a Chinese family in Sumatra in the 19th century, was moved – lock, stock and barrel – to the Indonesian island of Lombok to serve as the reception for Hotel Tugu Lombok. Indeed, the whole hotel, made up of an array of eclectic structures, turns out to be amazing. Designed like an ancient local temple, it has a flower-shaped pool and private rooftop for dining by moonlight. 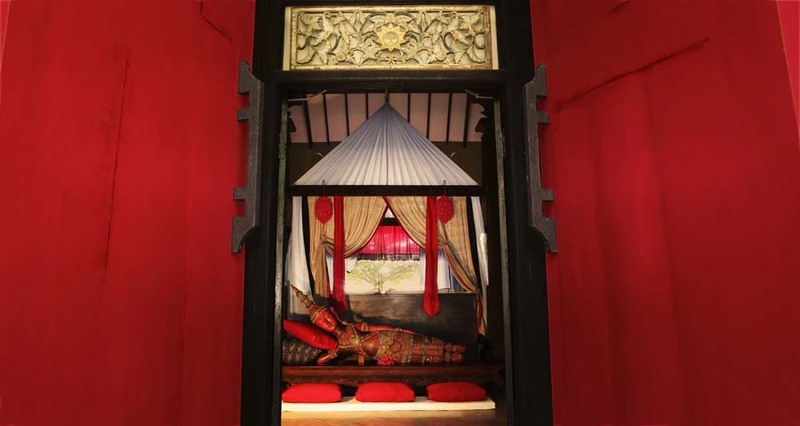 Inside, the bedroom features delicate Chinese embroideries, antiques from the Indonesian islands of Madura and Bali, and old Javanese prints detailing the adventures of Indonesian kings from the 11th to 14th centuries. What a beautiful honeymoon villa! And in the hotel garden, a 200-year old Chinese temple – saved from the 1894 Dutch attack on Lombok’s inhabitants and richly ornamented with Ching dynasty and Hindu carvings – is used for weddings. 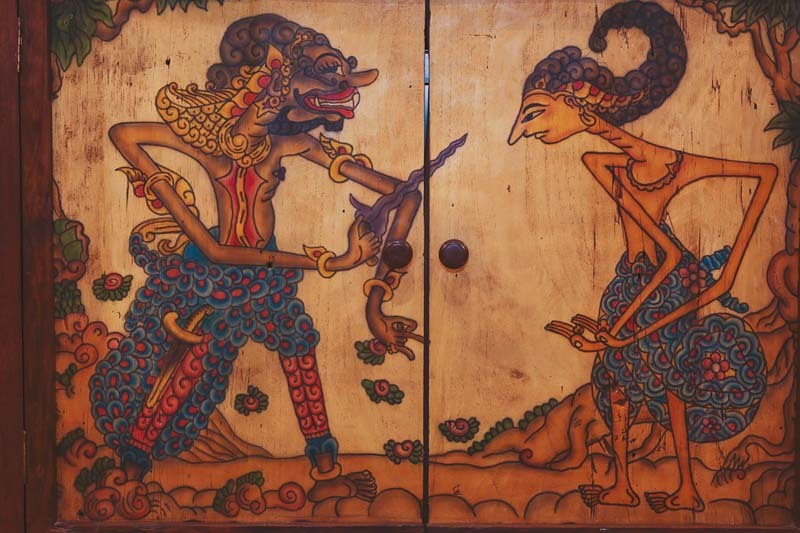 As we quickly discover, Tugu Lombok’s buildings are filled with invaluable Indonesian art pieces. 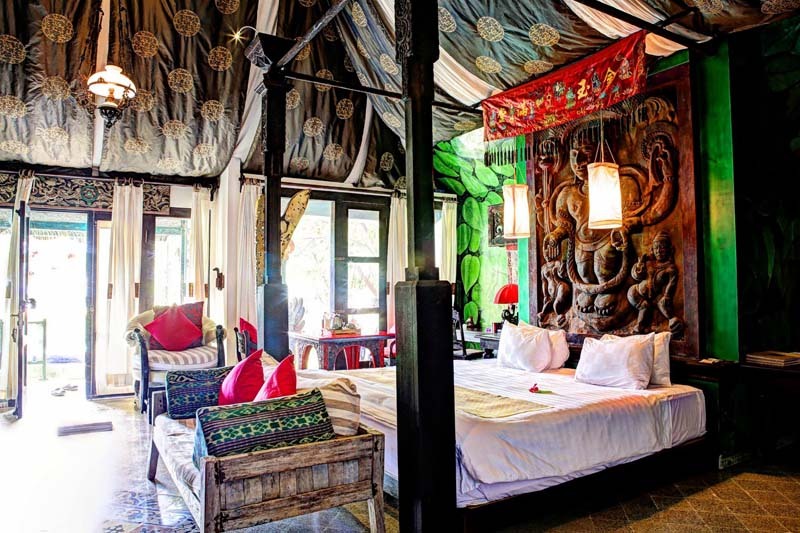 Hotel Tugu Lombok ends up being one of the most remarkable and romantic hotels we’ve ever stayed in. The private pools? They’re simply icing on an already delectable resort. As a poor young medical student traveling through Indonesia, Anhar was saddened to see so many ancient shrines and local artifacts being recklessly tossed aside by his countrymen, to be replaced by pedestrian new things of convenience. He started rescuing hundreds of stone Buddhas, wood carvings, shadow puppets, traditional musical instruments and paintings, historic photographs and even temples. Over the years, he amassed a museum-worthy collection. Then in 1989 – after reinventing himself first as a lawyer and later as a hotelier – he built Tugu Malang, his first luxury boutique museum hotel on Java, to showcase his treasures. 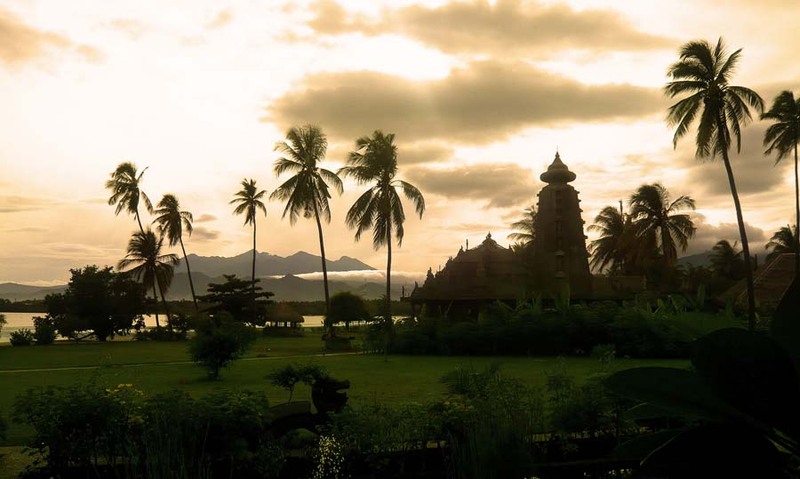 Three other Tugu hotels on east Java, Bali and Lombok followed. 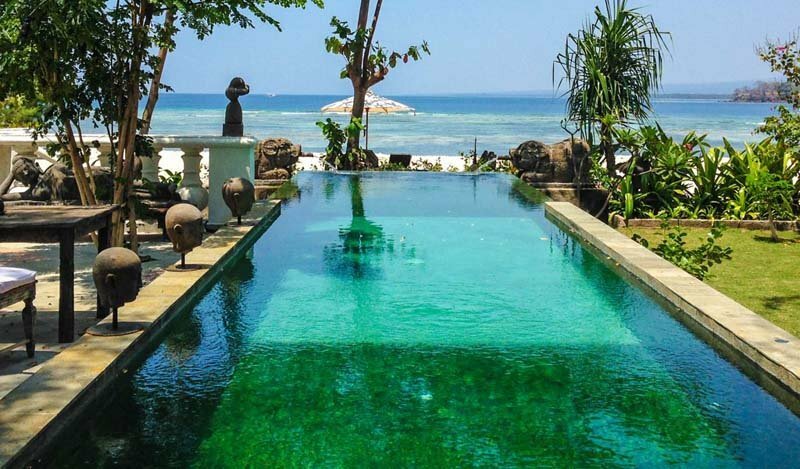 His Lombok hotel, with 37 individually decorated suites and villas strung along sugar-white Sire Beach, may just be his masterpiece. 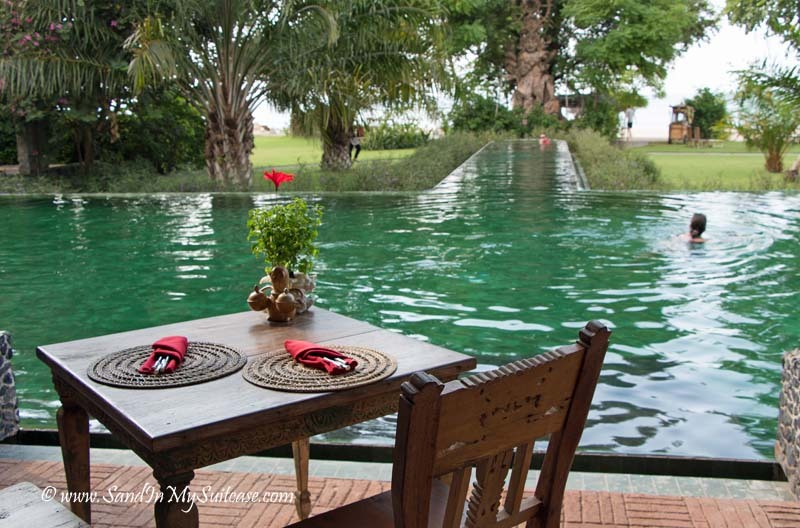 To check in, we cross a wooden bridge over lotus ponds with splashing fountains and are then invited to plop down on beanbag cushions overlooking an infinity pool. We’re given cold lemongrass scented facecloths and sign papers while sipping ginger-and-lemongrass juice. And then it’s off to our room. We’re booked into one of the beachfront villas called Bhagavat Gita suites. A little garden outside our front door has a koi pond and tinkling fountain. The villa itself features polished stone floors, a super-high ceiling (perhaps 20 feet high? ), antique mahogany furniture and an enormous, ornately carved wood mirror. 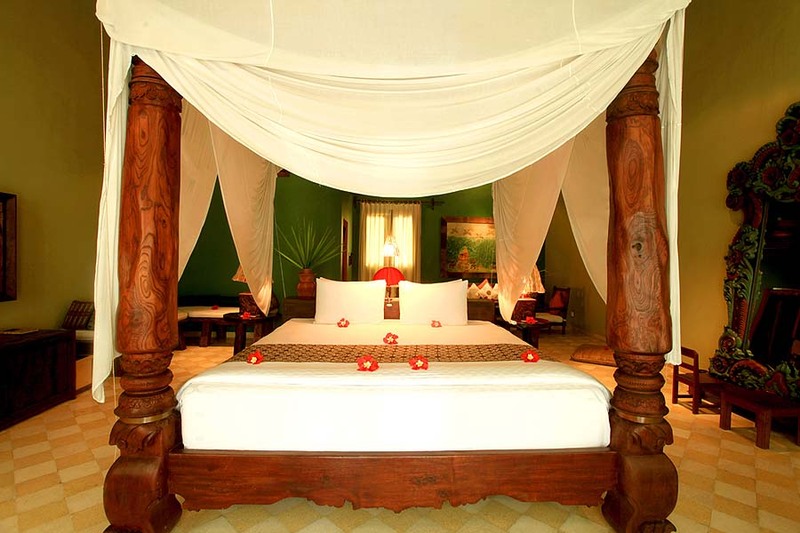 We doubt other Lombok luxury hotels have magnificent four-poster beds like the one in our suite. It’s almost the biggest bed we’ve ever slept in – so high off the floor that we have to use a wooden step to climb up on the bed. Scarlet hibiscus blossoms are tucked into towels and sprinkled about lamps and on the bed. We love all the other little personal touches too – candles, oil lamps, ear plugs, packets of mosquito cream (which we really don’t need), slippers and cotton robes, and plant leaves inscribed in silver with sweet welcome messages. And what do we discover when opening the white French doors of our bedroom? A private pool and canopied daybed, with views toward a huge swath of manicured lawn and beautiful Sire Beach beyond. The two most extravagant villas are Sang Hyang Nirvana and San Hyang Djiwo, at over 6,000 square feet in total size. They feature larger private pools, a jacuzzi, spacious sundeck and a private garden where you can host functions (pre-wedding cocktail party?). There are several other room types too at Tugu Lombok, some of which don’t have private pools. Okay, put your Ray-Bans on and let’s talk about that beach. Travelers are lured to Lombok by its beaches. Tugu Lombok is spread out along Sire Beach, one of the best beaches in Lombok. 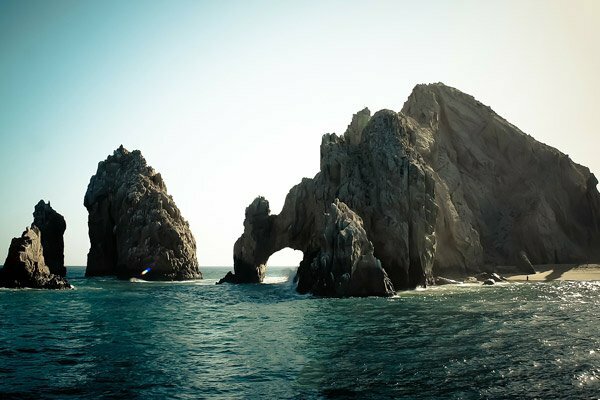 It’s virtually private, and the only other non-guests we see are a handful of vacationers from neighboring, ultra-luxurious mega mansions. On this pearl-white sandy beach, with lounge chairs and umbrellas spaced far apart, we can truly decompress in peace and tranquility. 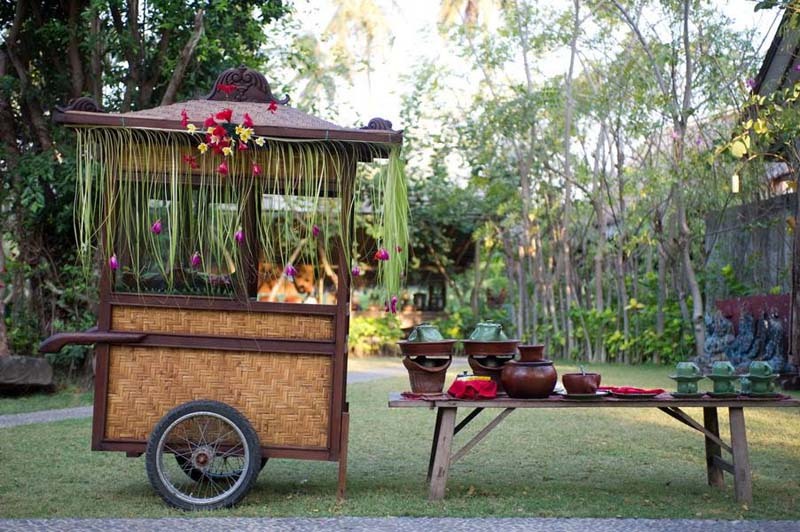 Our Hotel Tugu Lombok review would be incomplete without some comment on the food, right? And we do! The thick yogurt with fruit is literally the best we’ve had anywhere! For our coffee, we get addicted to the Java mocha – rich and creamy – made with real chocolate. We don’t need to eat again until afternoon tea, served between 4:00 and 6:00 pm. Then, out on the lawn, seated on tiny wooden chairs, we sample an array of savory onion tarts, mini chocolate cakes and Indonesian coconut jelly desserts to go with our tea or iced coffee. One night, we dine on Sire Beach with our toes in the sand. Tea candles, placed in a circle around our table and chairs, shed soft candlelight to make things just that more romantic. 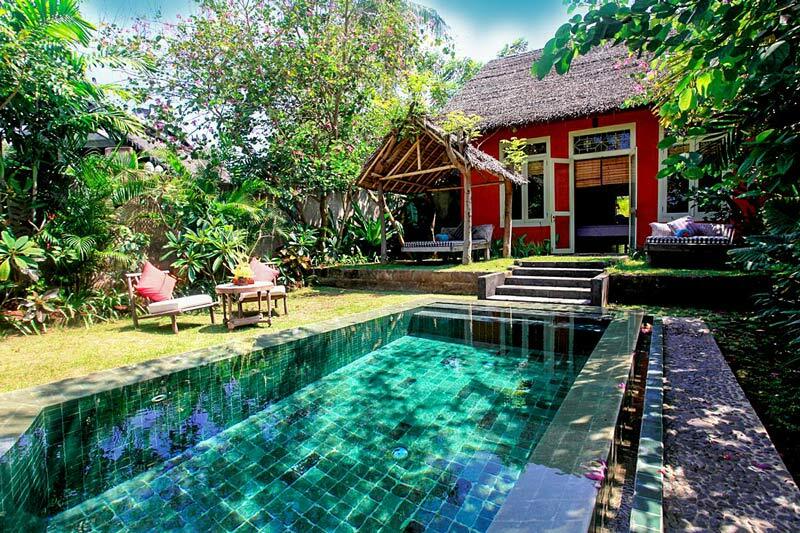 Just so you know, we’re not the only ones gushing over this Lombok hotel with private pools. It’s also garnered other rave reviews. The hotel was named a Top 25 winner in the “Most Popular Luxury Hotels in Indonesia” category in the 2018 TripAdvisor Travelers’ Choice awards. 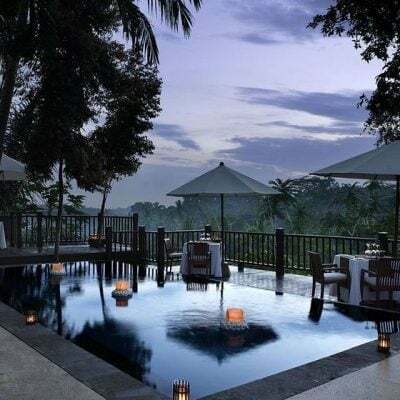 It’s also been rated one of the “world’s very best luxury hotels and resorts” by Forbes Traveler, listed among “haute spots” by Harpers Bazaar, and called “one of the most impressive art hotels” by Millionaire Living. 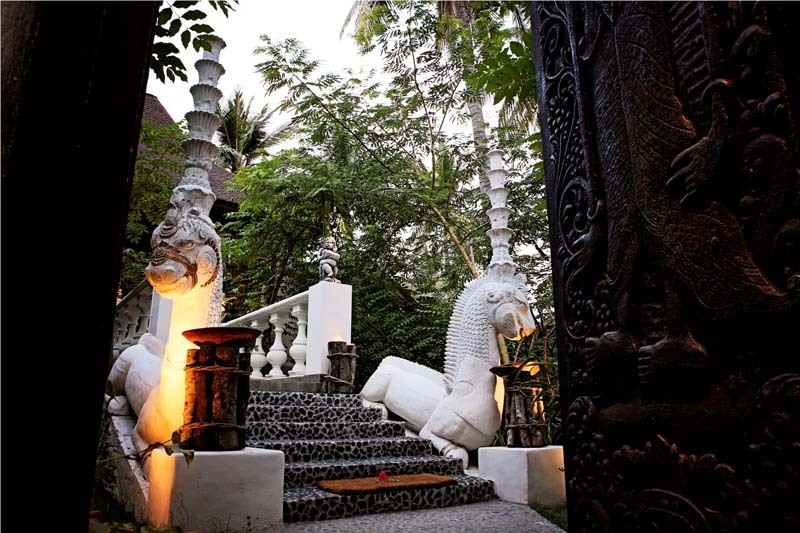 Still, it’s the artistic design and architecture – and all those incredible antiques – that are the real “wow” feature at Hotel Tugu Lombok. 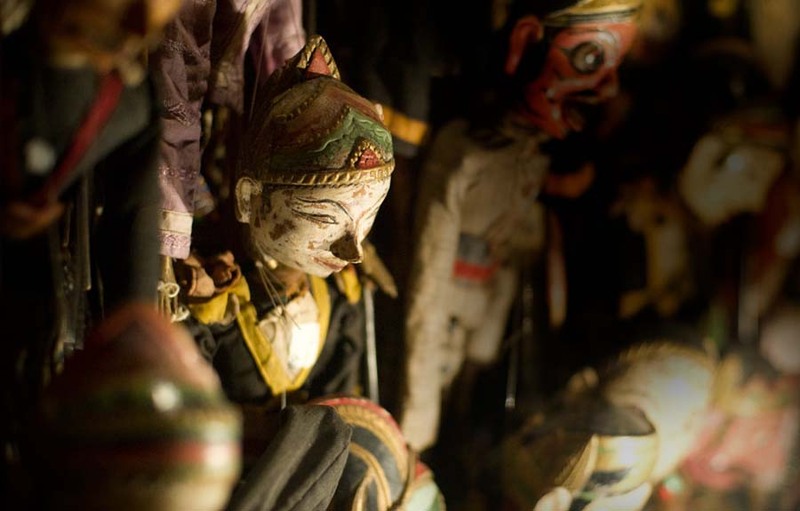 As monuments to Indonesia’s rich cultural heritage, the Tugu Lombok and its sister Tugu hotels keep the past alive. 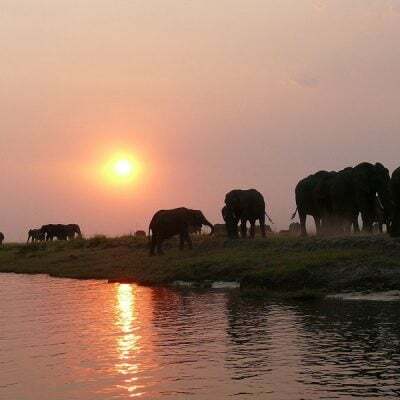 And they help ensure that the country’s precious treasures are no longer just cast aside and forgotten. A 30-minute complimentary welcome massage is included in your stay. 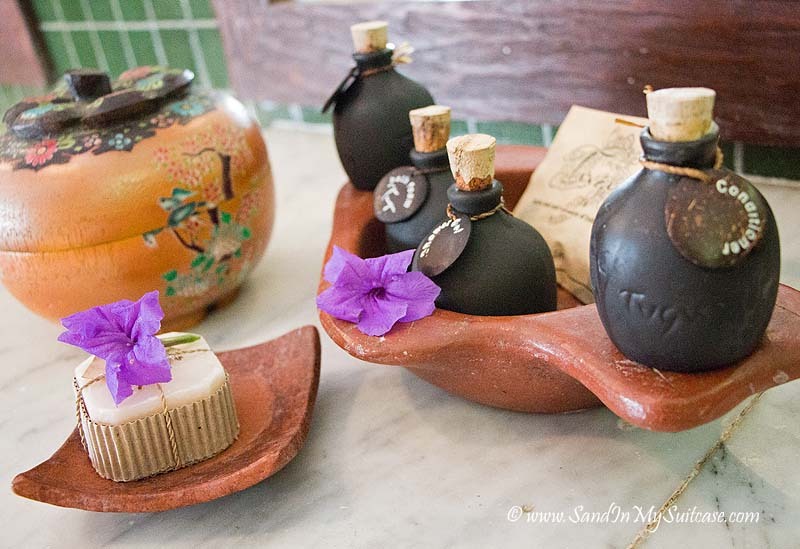 The breezy spa in a century-old temple is lovely – with a lava rock stone floor, gauzy red curtains and large wooden bowls of scarlet hibiscus. You can borrow reef shoes for swimming (to protect your feet from corals at the edge of Sire Beach). Nice! Rates include complimentary breakfast, afternoon tea each day, tropical fruits, a welcome drink and WiFi. If you like modern high-tech hotels, with fancy lighting and big TVs, this Lombok luxury resort may not be right for you. Where is Sire Beach, Lombok, and the hotel? Visiting Bali as well as Lombok? 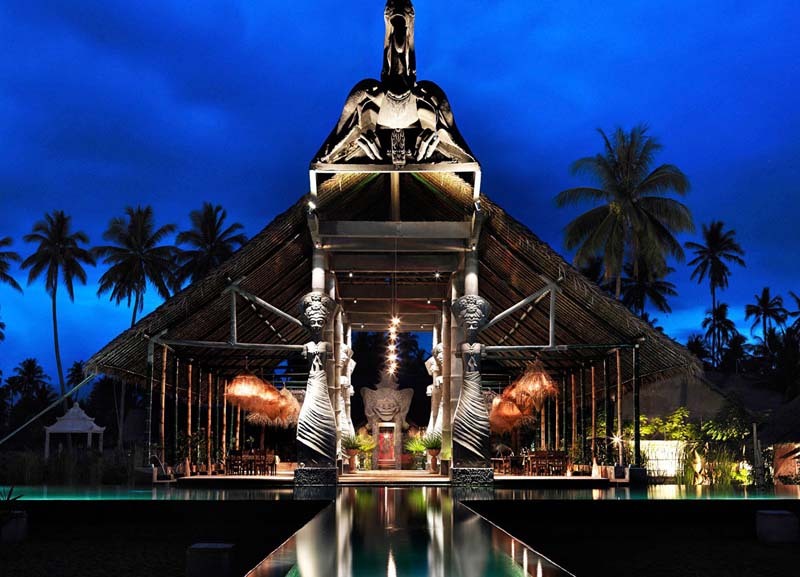 There’s a Hotel Tugu Bali in Canggu. 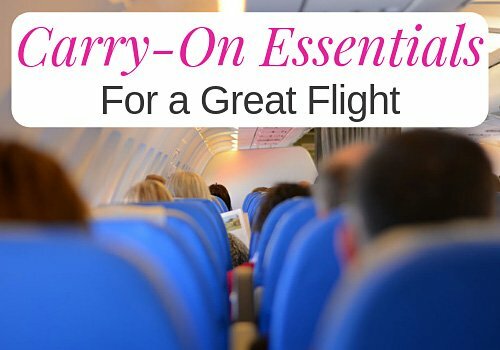 If this post was helpful, pin to Pinterest, so others can see it too! 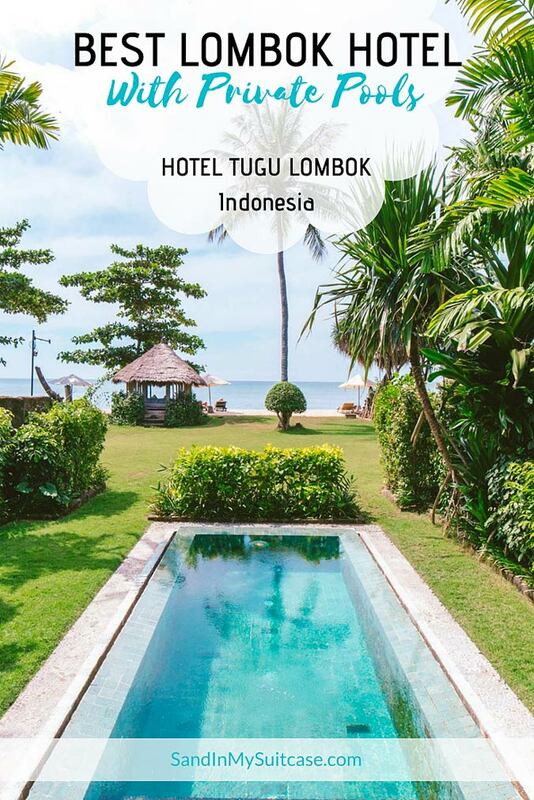 Photos that aren’t ours are courtesy of Hotel Tugu Lombok. Such informative yet wonderfully arranged writing – truly well deserving of the award it won. 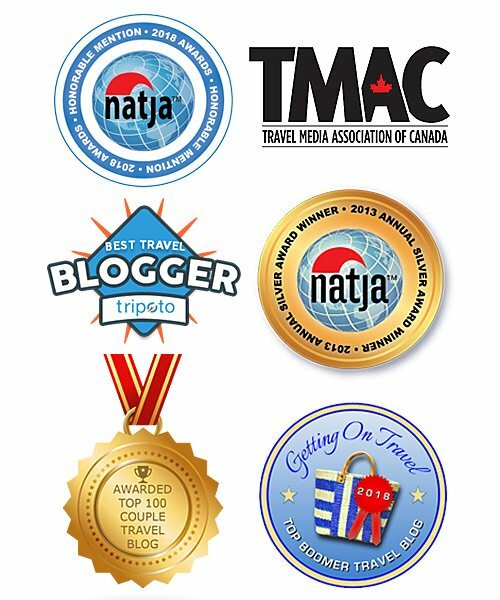 As a grateful and satisfied reader I would like to extend my gratitude to both of you for the favor you have done for the tourism industry of Indonesia and for Tugu hotel with your sincerely wonderful works and reviews. Thank you — we’re blushing :-). 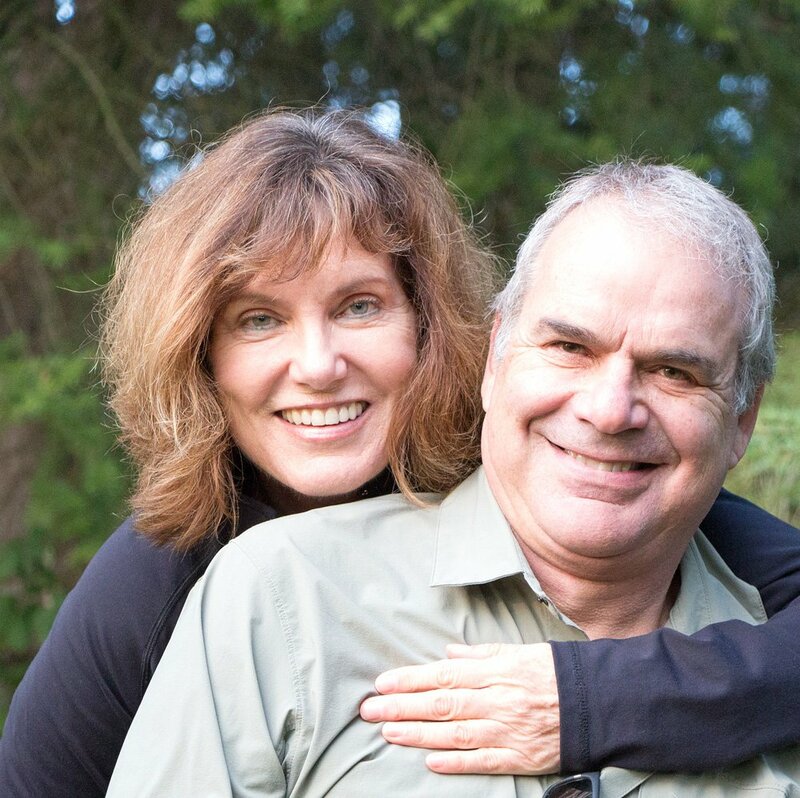 It’s always nice to hear from readers that they like our stories… Thank you again. This would have made a lovely add on to my Bali trip recently, it looks spectacular – gorgeous honeymoon villa and I’m impressed with how white the sand is. I actually visited the Hotel TUGU in Malang, East Java, Indonesia – city where I lived for a year. They are all beautiful! I’m so sad I missed the one in Lombok though. It looks incredible, like a living museum. Will have to take my honey there we go back to Indonesia! I stayed at Tugu Hotel in Lombok two years ago. It is truly unique with Asian artworks literally everywhere. The food, service and location were exceptional. 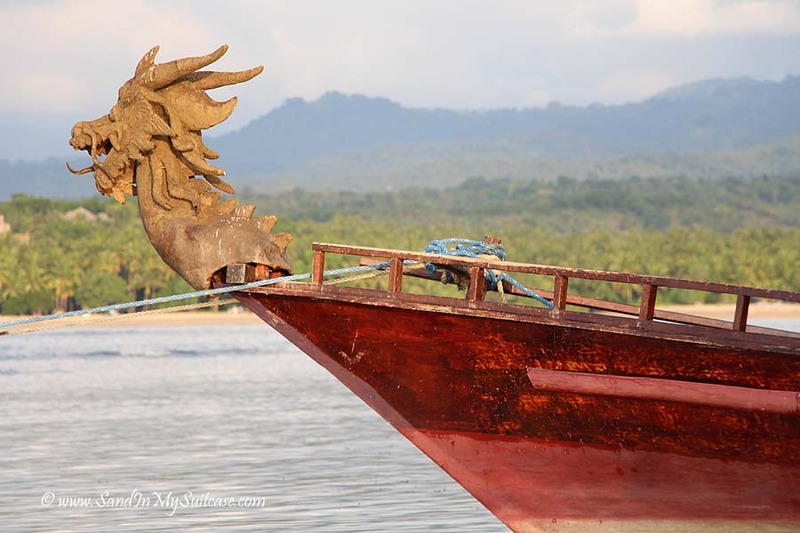 It is also only a 25 minute boat trip to Gili islands which was great for snorkeling, lunching and being where the action is if you need a change from the serenity at Tugu. The Indonesian cooking lessons and meal after was a great experience. I would definitely go again. One caveat – I did not see any kids during my visit but I’m sure they would be welcome and enjoy the experience.. I wish I’d done noble things like rescuing religious artefacts when I was a med student ? but joking aside, this hotel looks absolutely blissful. I wish I’d had enough time on my trip to Bali to also travel to Lombok but I know exactly where I want to stay if I make it there and that honeymoon suite makes me want to go on a honeymoon all over again – it’s so chic and natural whilst still seeming so romantic! You must have had such a wonderful stay there. 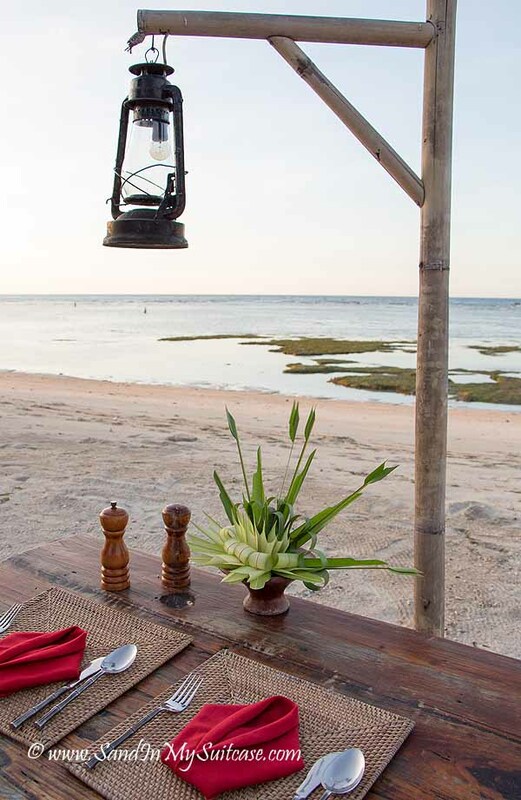 Tugu Lombok is absolutely one of our favorite hotels in the world! We could return in a heartbeat. 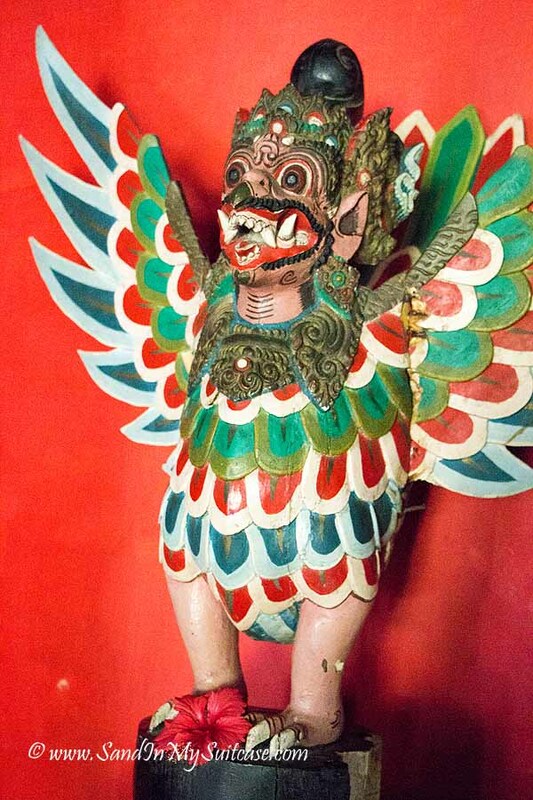 The owner’s daughter (now grown-up and a lovely young woman) has inherited her father’s love of Indonesian antiques, and we spent some time with her in Tugu Bali, learning a little about her father and the history of the Tugu hotels – inspirational! Indonesian hotels are amazingly beautiful, and this one looks like a very special place to stay. I love the use of antiques and the romance of the four-poster bed! I haven’t been to Lombok but visited Bali twice and Java once and loved everything. A beautiful country and lovely people.